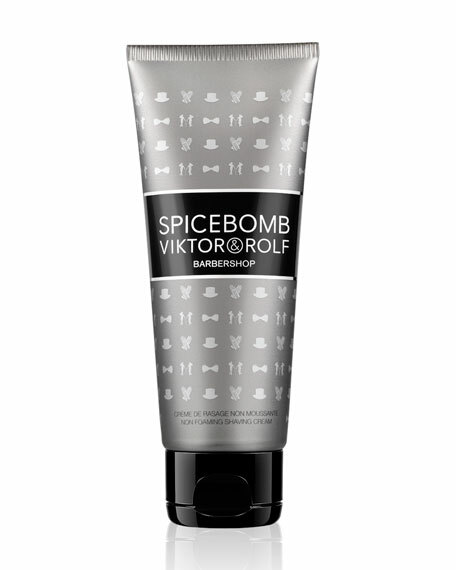 Viktor & Rolf Spicebomb Non-Foaming Shave Cream, 3.4 oz. Blended with the explosive scent of Spicebomb, the Non-Foaming Shave Cream enables a smooth, close shave. The rich cream allows the razor to slide across skin while protecting against irritation. Start with the Nourishing Pre-Shave Oil and finish with the After Shave Balm (both sold separately) for the ultimate shave experience.